this week so I grabbed some, came home and made some pincushions. Oh and we had a Birthday in our house on Friday. One Happy 17 year old! that 9lb 5oz baby got to be over 6 foot tall! Both Boys tower over me now and Keegan is not far away either. Yikes! Love it all. I might have to make up some extra fox blocks to do the same. Your pin cushions are so cute, Sharon. I love the pouches too. That's a terrific cake! Love the zipper pouches from the orphans. 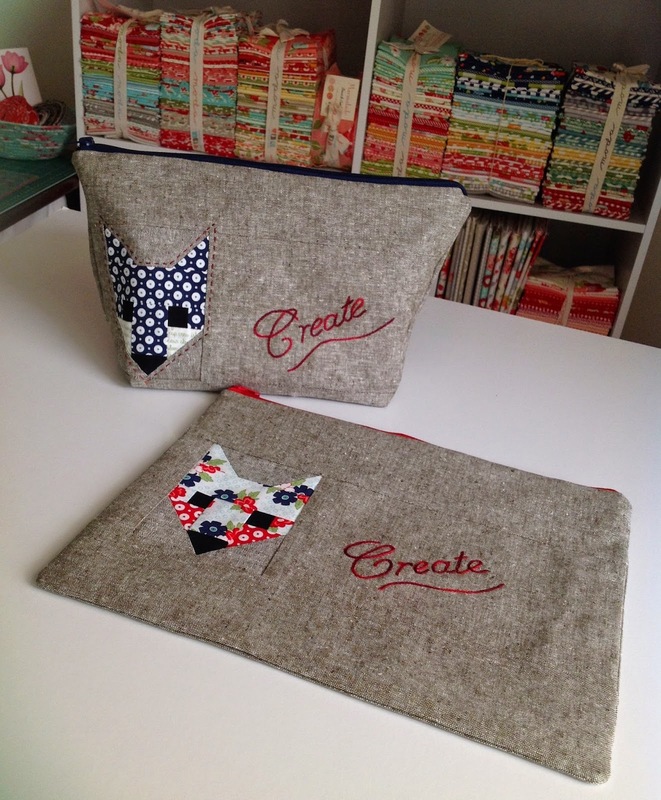 love the pin cushions, what a great idea and those foxy pouches are gorgeous! That cake looks AMAZING. I showed my soon to be 17 year old and he thought so too.The elephants, rhinos and fox zipper pouches look really cool. 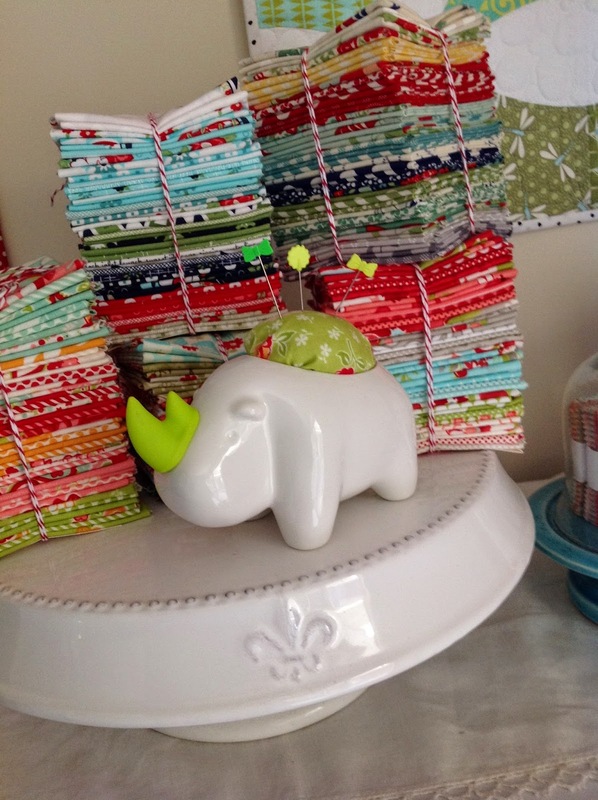 Love your pincushions!! It is amazing how the years go by. My eldest is turning 35 this year and I remember his birth as if it was yesterday - and he is 6'1" - I am the smallest in the family at 5'6" - even my 10yr old granddaughter is not far from looking me in the eye!! 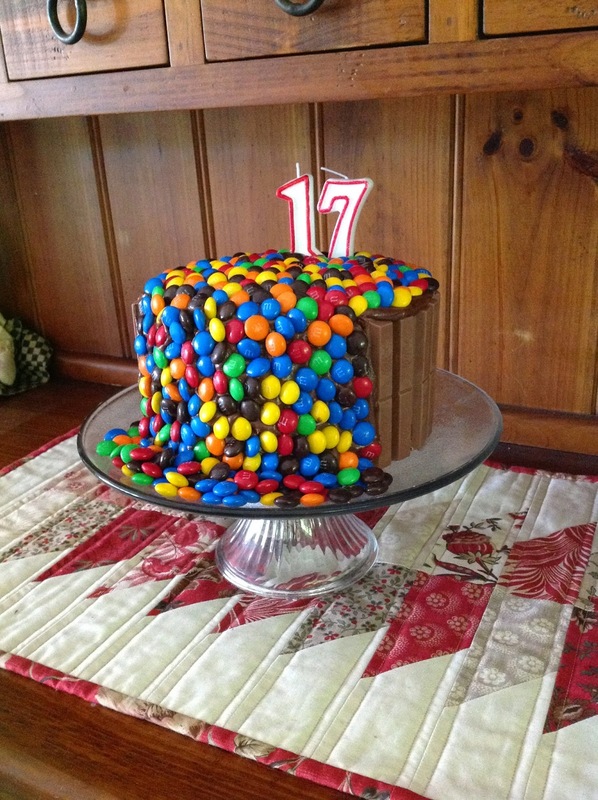 impressive cake!! Lots of fun things happening at your place. I always love your photos! That cake looks delicious - you certainly nailed the brief for it!! Just can't get enough of staring at your B & C stash. so gorgeous and those pincushions and zip bags!! amazing. 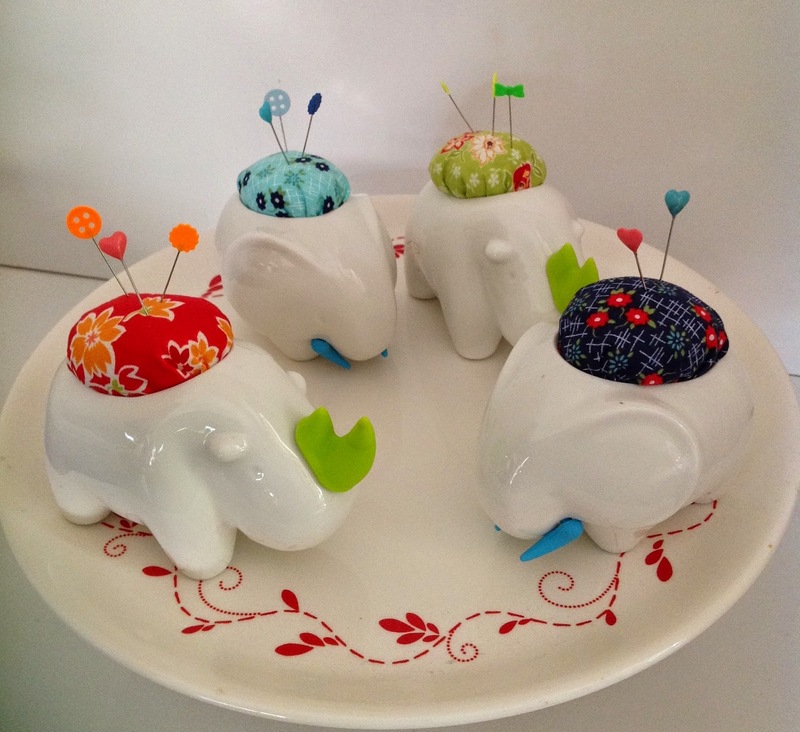 Great use of orphan blocks Sharon....pin cushions are wonderful...sensational cake! !